Olivia Clark is the Climate Programs Intern at Second Nature. 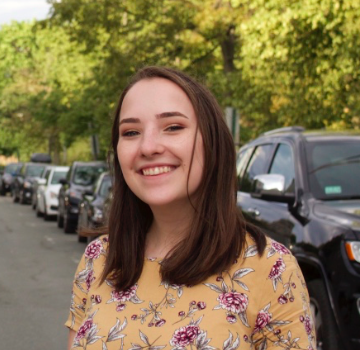 She is a student at Northeastern University, where she is pursuing a BA in Human Services and International Affairs. She is passionate about leveraging the power of students and universities to enact change, and is heavily involved in on-campus organizing efforts around economic justice and accessibility of mental and physical health services. Prior to joining Second Nature, she completed an internship at the Institute for Healthcare Improvement, focused on coordinating the organization’s partnerships with health systems across five continents.